Broad Reach is a Swedish, timber-style, detached holiday property located on the 400-acre country estate of Caldecott Hall with its golf club and fitness spa. There are two 18-hole golf courses and, at The Barn Works fitness studio and spa/gym, there is also a heated swimming pool available to guests at cost. The property boasts its own sauna and has a hot tub situated on the verandah, and is perfect for an indulgent break whatever the season. It is ideally located for exploring the Broads and surrounding area; Redwings Horse Sanctuary is close by and a short drive away is Somerleyton Hall and the Fritton Lake Estate with gardens and one of the best freshwater lakes in East Anglia. The traditional seaside resort of Great Yarmouth is just 5 miles or visit Gorleston-on-Sea with its stunning, sandy beaches. Both Norfolk and Suffolk Heritage coasts deserve a day trip or spend time in the quaint market towns of Beccles and Bungay, and the fine city of Norwich, 20 minutes’ drive away, with its cathedral, museums, theatres and array of shops and cafés. Shop 2 miles, pub and restaurant 200 yards. Gas underfloor central heating, gas, electric, bed linen and towels included. Freeview TV. DVD. iPod dock. Gas cooker. Microwave. Washing machine. Tumble dryer. Dish washer. Freezer. Wi-Fi. Large balcony with sitting-out area and furniture. Parking (2 cars). Shared use of fitness studio and spa/gym with swimming pool at cost. 4-person hot tub. Sauna. No smoking. Holidays run from Friday to Friday. NB: Unfenced pond 30 yards. For a better idea of where Broad Reach is, you can see Broad Reach on the map below. Broad Reach is in Norfolk; should you be on the lookout for a special offer, you can find all the special offers in Norfolk. It's always worth checking to see what is on offer at the moment. 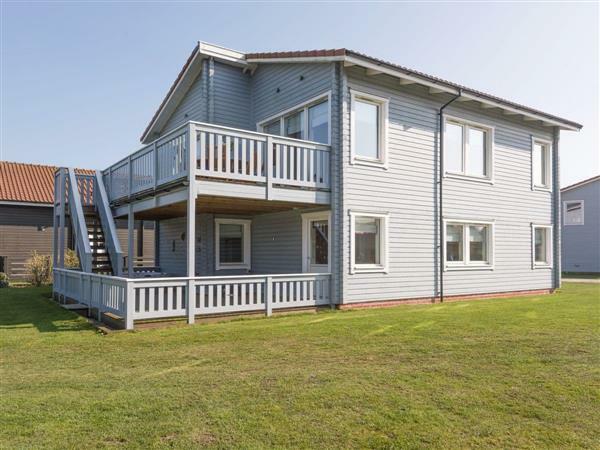 Do you want to holiday near Broad Reach (28121), you can see other cottages within 25 miles of Broad Reach; have a look to find your perfect holiday location.